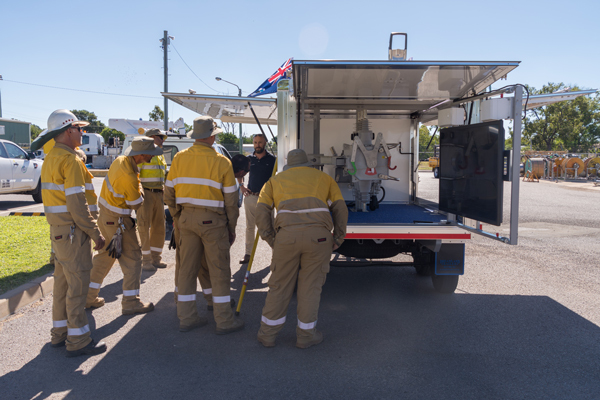 With the successful type testing of NOJA Power’s new SF6 Free Load Break Switch with Visible Enclosed Isolation, the VISI-SWITCH®, the Brisbane based manufacturer is setting off on a grand tour of every utility depot in Australia. The NOJA Power Trailer is equipped with both a VISI-SWITCH® and OSM Recloser, giving Lineman, Field Technicians, Engineers and Operators the chance to witness and operate both pieces of equipment and become familiar with the latest in switchgear technology. 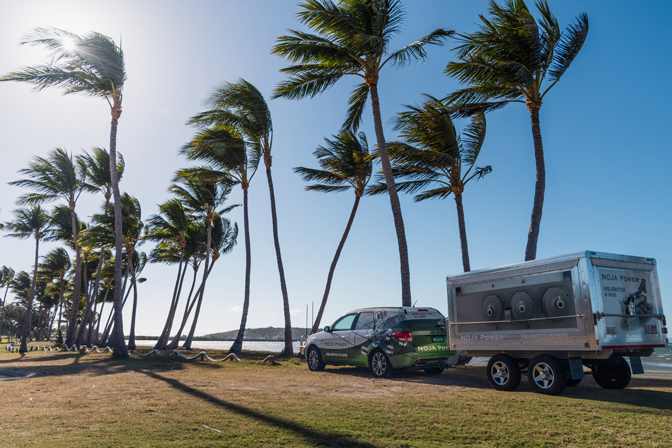 This logistical undertaking is anticipated to take at least 6 months, with the first leg of the NOJA Power VISI-SWITCH® tour seeing the trailer and driver cover 11,000km visiting 66 depots across Queensland alone. 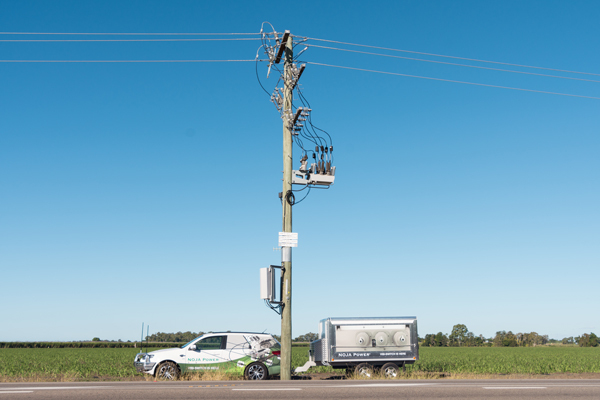 Glen Harris, Sales Manager for the Australia Pacific Region, demonstrates NOJA Power VISI-SWITCH to Field Technicians in Home Hill, Queensland, Australia. NOJA Power’s VISI-SWITCH® is the world’s first enclosed Load Break Switch that uses Solid Dielectric Insulation with Vacuum Interruption, combined with a series connected offload isolator. This unique architecture provides a sealed product, with a bulletproof glass viewing window to see the conductor path. In the open position, the visible break demonstrates a guaranteed 121kV BIL for the 15kV version, providing operators with physical verification of isolation on all three phases. This spectacular road show journey will be documented on all NOJA Power’s social channels, including Facebook, Instagram and LinkedIn. Follow us to make sure you don’t miss your opportunity to see and judge the latest technology when NOJA Power comes to your town. We look forward to being of service and meeting all of you as we travel around Australia.